I hope you are having a wonderful holiday season. The New Year is almost here, and we are already planning for our 2015 National PTA Annual Convention and Exhibition, which is only six months away. I truly believe this will be our best convention yet. From June 25-28, 2015, National PTA will transform Charlotte, NC, from the NASCAR capital to PTA Central. As we rev up our engines, we want you to fuel the change. We will drive fast toward PTA’s future at this convention. Attendees will steer key decisions focused on our: bylaws; resolutions, and future leadership. These critical decisions call for a new approach to learning at Convention. The 2015 convention will feature a new format that focuses on your needs and expectations. Be prepared to be energized, engaged and wowed! This won’t be the typical convention – rushing from workshop to workshop. You will have lots of choices. Learning experiences will be blended and there will be an array of interactive options including: learning labs, thought leader talks [Think PTA TED Talks], networking sessions and a new demo stage. You will have special opportunities to get personalized advice on specific issues of interest or concern. Finances going in the wrong direction? Communications efforts stalled? Advocacy sputtering? Our subject matter experts will work with you to help get your PTA team fueled up and on the right track. Whether you are an emerging leader or one of our many PTA visionaries who has helped guide the association in recent years, you can’t afford to miss the 2015 Convention. You will leave better trained to lead, and more knowledgeable about everything PTA – from growth strategies to ways to engage more diverse families to techniques to become a more effective activist for PTA causes. On top of that, you will leave knowing you made a difference and helped shape the future direction of our association. I want the 2015 Convention to be more than just a gathering. I want it to be an event to remember, where amazing advocates with varied backgrounds come together with a single purpose: To transform the future of National PTA. Come with questions. Leave ready to take PTA’s voice to local, regional, state and national audiences. That’s where education decisions are made and funds are allocated. Our 2015 Convention will reinvigorate our vision, reshape our bylaws and set us on a clear path to a bright and successful future. We need you to help chart our course. We need you to bring your passion and commitment. The last week in June, we need you in the Queen City! Thank you for your support and for all that you do for our children. Yet, only 37% of parents say underage drinking is a big problem. 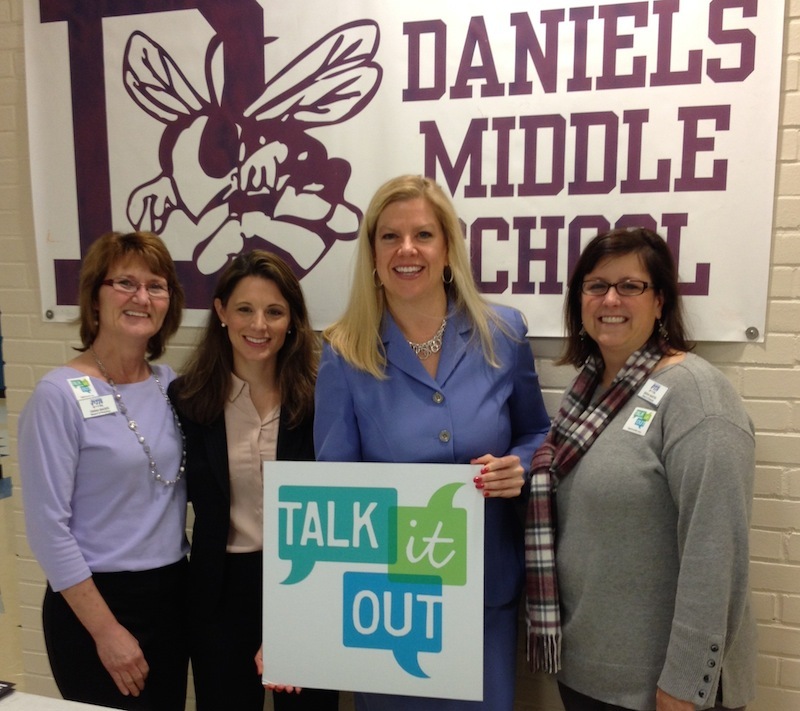 This month, NCPTA joined members of the Talk it Out Coalition in a powerful presentation on underage drinking to an auditorium full of eight graders at Daniels Middle School in Raleigh. The program included moving stories from families who have lost loved ones in car accidents involving underage drinking. We hope you will take the time to look at and use the resources available on the Talk it Out NC website for your family and school PTA. National PTA invites students to enter each year for a Reflections Theme Search. The student who submits the winning entry for 2016-2017 will receive $100, and his or her theme will be presented at the National PTA Convention and Exhibition in Charlotte, North Carolina, June 25-28, 2015.